Looking for another source of income? Find out how you can earn extra money on Craigslist today. 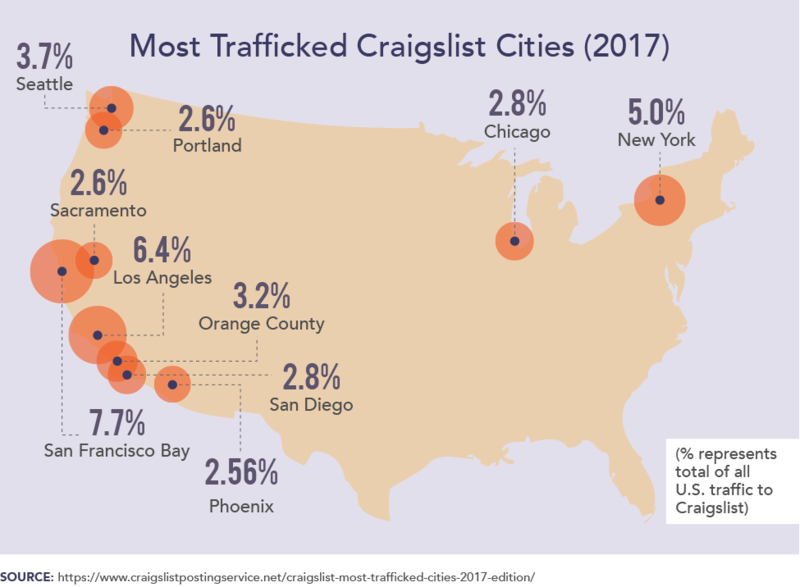 Craigslist.org is one of the most popular websites in the United States. 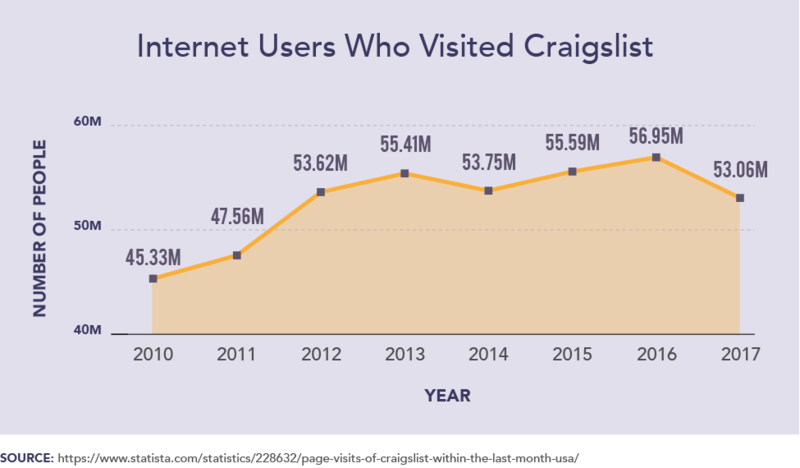 Since it only charges fees for job postings, ticket sales by ticket brokers, "therapeutic services", and ads from car dealerships, Craigslist has empowered many people to make money on a full-time or part-time basis. Making money on Craigslist is definitely worth the time. You can make extra money with nothing more than a cell phone. But the problem is, most people don't know how to make money on Craigslist. So, I'm going to share 14 ways you can start earning money on Craigslist right away. The "For Sale" category on Craigslist always has a "Free" subcategory. You'll find all sorts of items people just want to get rid of. You can make extra money reselling stuff you pick up for free. 1. Pick up quality free stuff on Craigslist, then sell it on Craigslist for what it's really worth. 2. Collect free stuff from Craigslist, then have a garage sale to sell it all at once. 3. Find specialty buyers (for example appliance resellers) and sell them free items you picked up on Craigslist. 4. There is also a "Barter" category under "For Sale." Trade away something, then sell the new item you received for money. A lot of items available at low prices on Craigslist just need a little TLC to be worth much more. 5. Restore furniture for a big profit. Refinish battered wooden tables and chairs, or reupholster living room furniture. 6. Buy broken appliances at low "as-is" prices, then fix them up and sell for much more. 7. Buy non-working yard equipment super-cheap. Learn how to fix small engines, and sell the repaired equipment at high prices. 8. Used laptops on Craigslist are often cheap because they have a virus or need repair. Clear-off the hard drive, reload an operating system and sell for a profit. Or you can use the computer to generate income, for example through affiliate marketing. Affiliate marketing is a way to make money online through commissions you earn for sending traffic to other websites. If you can develop a keen eye for Craigslist bargains, you can make money online by snapping them up and then reselling at a higher price. 9. Buy up out-of-season stuff cheap then sell it in-season. For example, buy air conditioners in the winter and resell when it gets hot in the summer. 10. Buy and sell cars. You'll need to get a Carfax account, so you can check used car VINs. Then find great deals on used cars and resell them at higher prices. 11. Sell your cell phone. If you're getting an upgrade, you can usually sell your unlocked, used smartphone for hundreds. 12. Buy old used clothes on Craigslist and thrift shops. Then resell as trendy "vintage" fashion. 13. List your services to find new clients. Anyone from a gardener to a web designer can post their services and get extra work. 14. Find little side-gigs. The "Jobs" section always has a "Part-Time" category and a "Gigs" section where temporary and one-off jobs are listed. Figure out which one of these strategies for making money on Craigslist works best for you, then start making extra income. You might even find it replaces your full-time job. The first step is to start looking around on Craigslist with these tips in mind. Now that you're educated, you'll probably see opportunities you never saw before. Take what you've learned here and start taking advantage of those opportunities. Do you know more ways to make money on Craigslist we've missed?